This home is ready now. This beautiful Ranch features main level living and an open floor plan. This homes dream kitchen comes with granite countertops, 42" cabinets, double oven, and hardwood floors. Master bedroom has a large walk-in closet, and a master bath with a double vanity, free standing shower, and garden tub. A fully finished basement is included with a large family room. Not to mention the additional theater room with 5.1 prewired for Surround Sound. We even throw in a home warranty. Stainless steel appliances to include french door refrigerator. AC. Fully landscaped & fenced. Your dream home awaits, come see it today! This beautiful little neighborhood is scattered with pine trees and has a walking trail that leads directly to Woodmoor Lake, as well as to the public library, brewery & coffee shop. 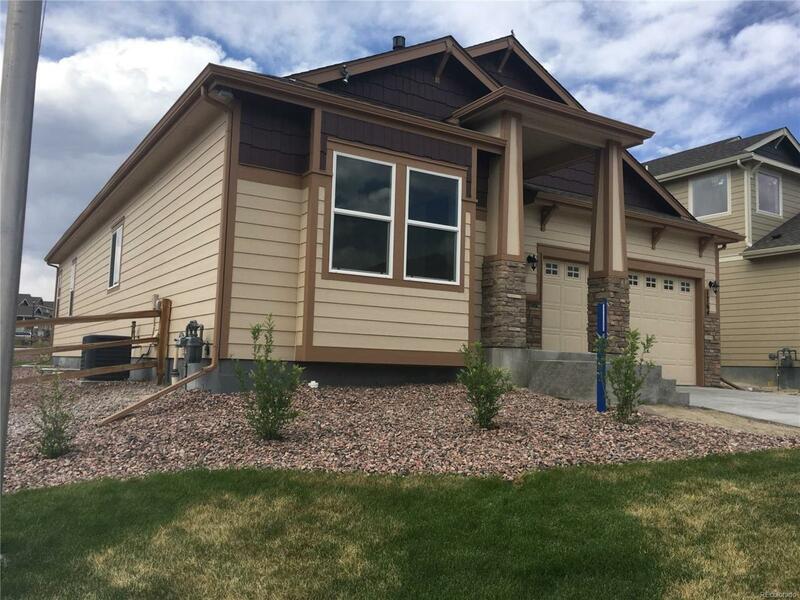 With convenient access to I-25 and the quaint town of Monument, this neighborhood offers beauty as well as convenience between Colorado Springs and Denver. INVESTORS WELCOME! Offered by Pinnacle Real Estate Partners.